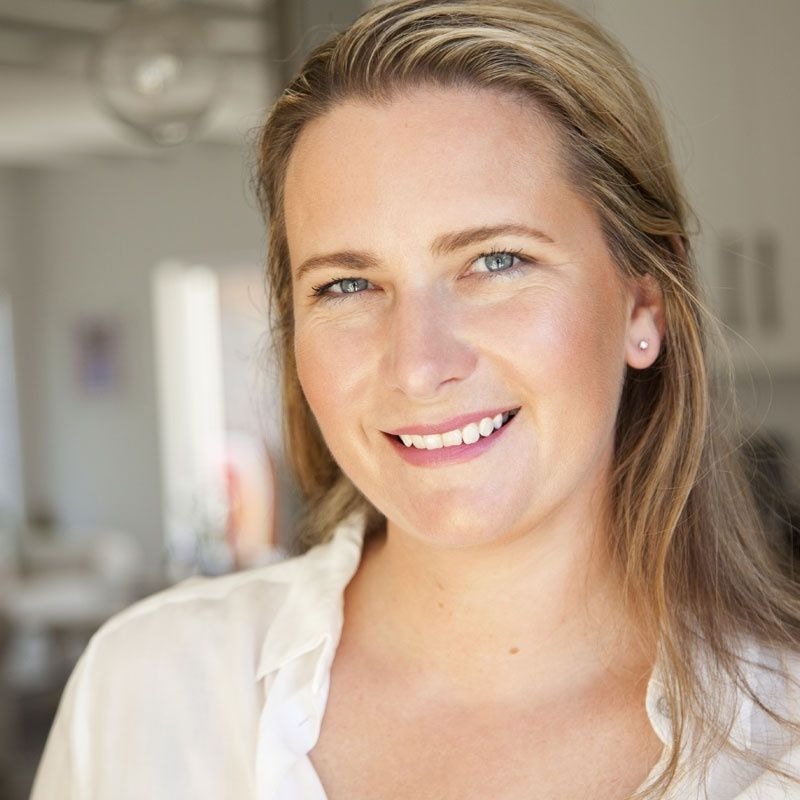 Africa is in my blood – the continent I call home is certainly one that gets under your skin. There is something incredible about the vast open spaces, endless horizons and opportunity to connect with nature. 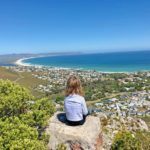 I recently asked a few of the most well-travelled travel bloggers to share with me their favourite things about Africa and the list grew and grew. 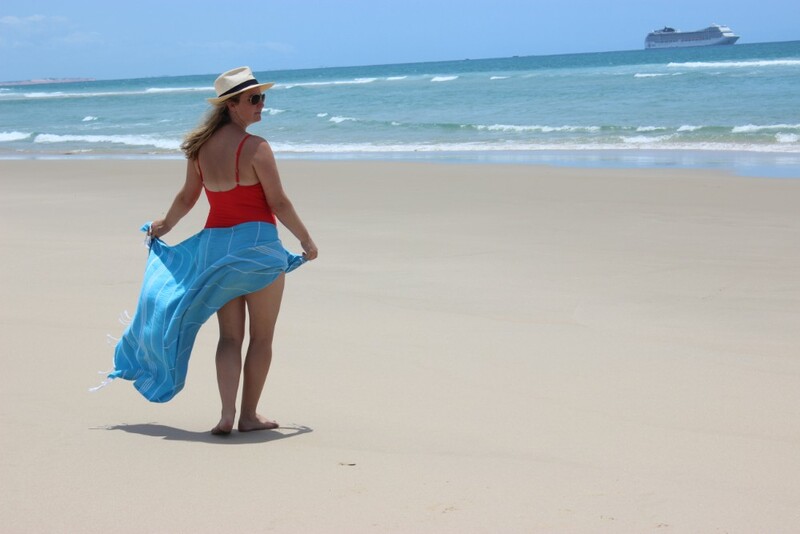 Before I knew it I had 50 reasons – places, experiences, islands, cities! It was overwhelming to read how much people LOVED Africa! 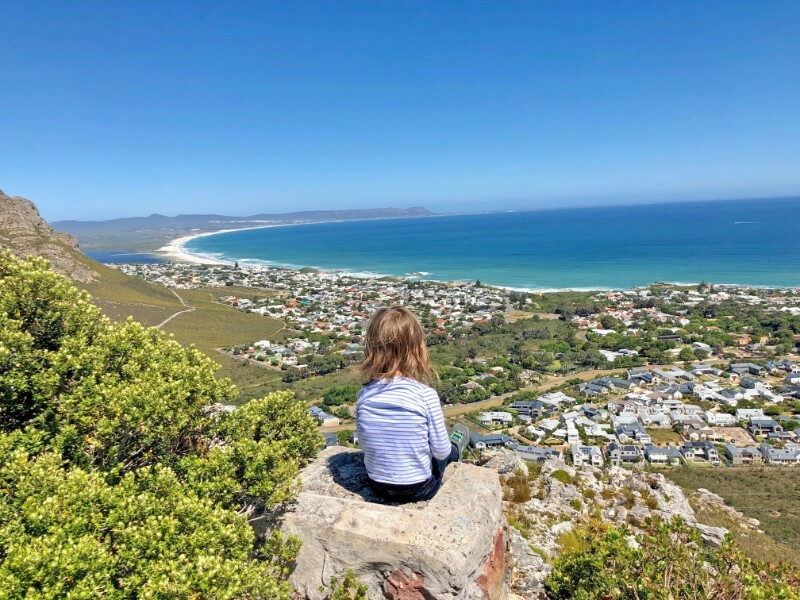 So to make it a little bit more manageable I thought I’d break it down into 5 different posts featuring 10 incredible places in Africa – resulting in a Top 50 Things to do in Africa post at the end! Today I’m kicking off this brand new travel series with a list of the Best National Parks in Africa as nominated by travel bloggers from around the world. 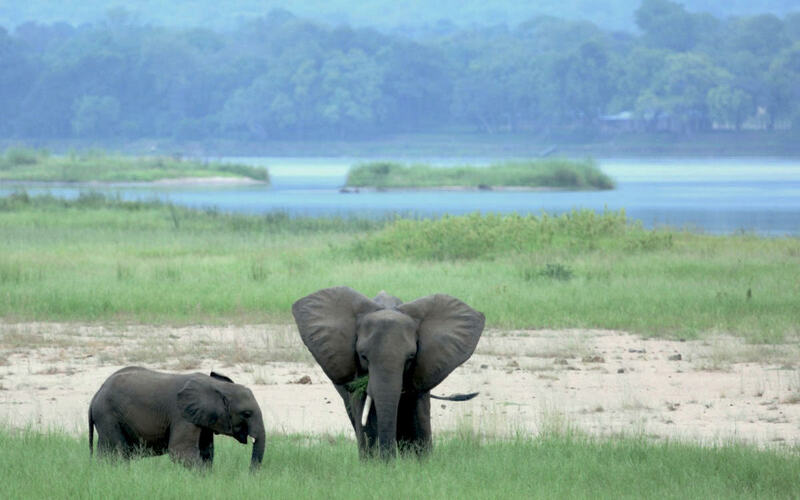 A safari in Chobe National Park, Botswana, is an unforgettable African Safari experience. 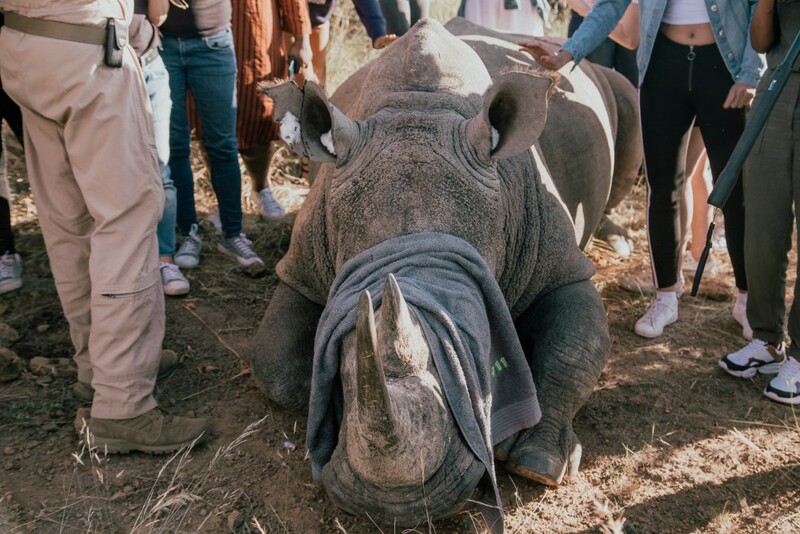 The National Park is known to have the largest concentration of elephants in Africa as well as large populations of hippo, water buffalo, big cats, birds and countless other wildlife. The Park is bordered by the Chobe River in the north which provides a unique opportunity for an early morning or late afternoon river cruise. On small boats you glide past hippo, elephants and buffalo as they go about their daily lives. 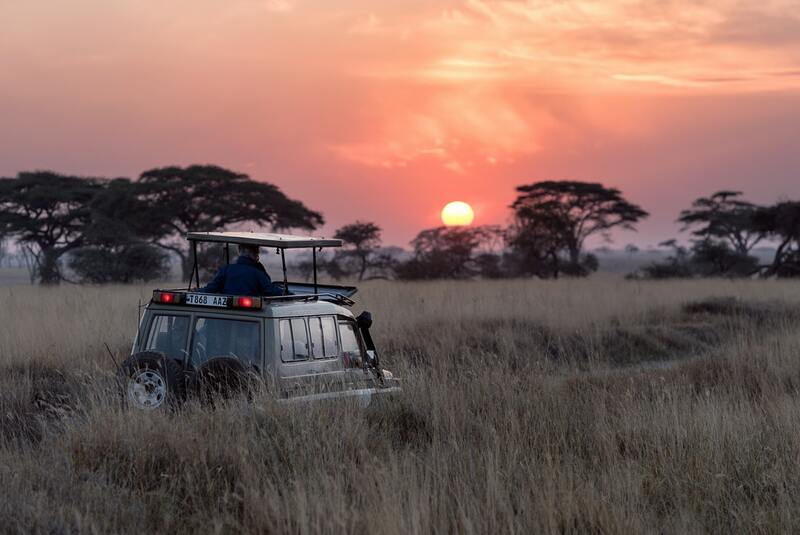 Combined with a drive through the Park in search of zebra, big cats and giraffe amongst others, it is the perfect way to spend a few days on safari. For the intrepid traveller it is possible to plan a self-drive safari through Chobe National Park, with camping available at a number of locations. But regardless of whether you go it alone or book a guided safari trip, it is a magical place to visit. Kenya’s Maasai Mara National Reserve is one of the best destinations in Africa because it’s a vast, world-renowned wildlife sanctuary, where you can see exotic animals in their natural habitat. 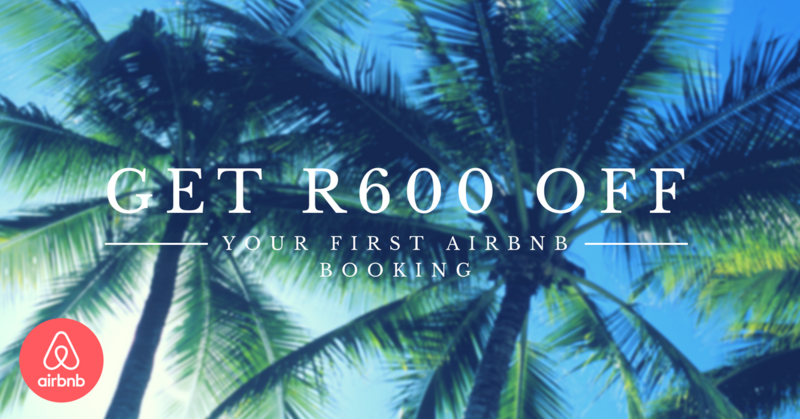 Here you can spot the ‘Big Five’ – lion, leopard, elephant, cape buffalo and rhinoceros – as well as a host of other colourful creatures. 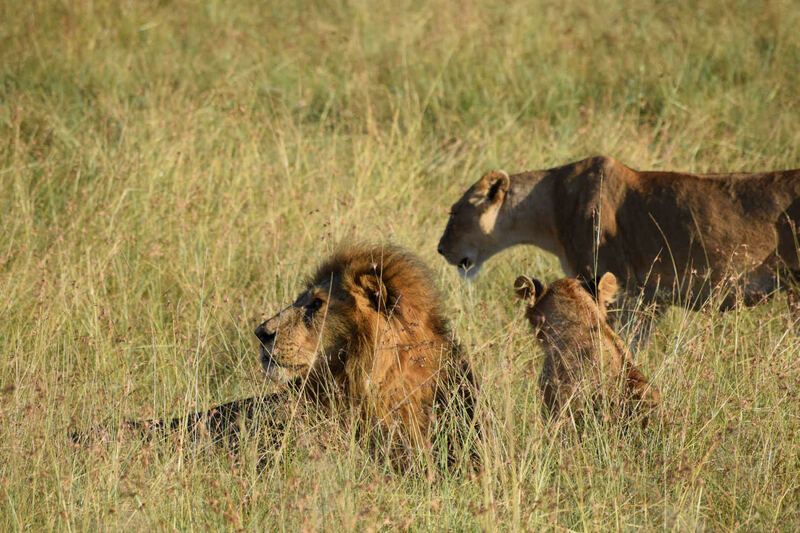 Watching a family of lions nonchalantly feast on their kill for breakfast was a highlight of our safari. If you’re here between July and October, you may witness the Great Migration. Over a million zebra, Thomson’s gazelle and wildebeest travel en masse the 800 km (500 mile) return journey to the neighbouring Serengeti plains. It’s one of the most spectacular sights in the natural world. The Maasai Mara National Reserve is named after the Maasai people, who have lived in the region for centuries. To be welcomed at a Maasai village and into their homes, to learn about their semi-nomadic lifestyle is a real privilege. 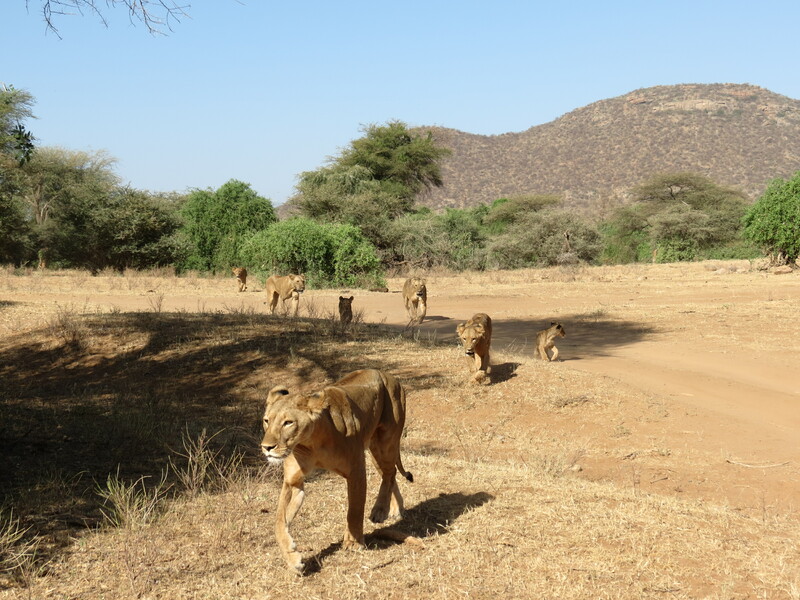 The Samburu National Reserve in Kenya is a rather special pace. Ideal for anyone who’s already done a traditional safari somewhere like the Masai Mara, the landscape here is a wonderful contrast, with mountain peaks and high escarpments and well as savannah plains. 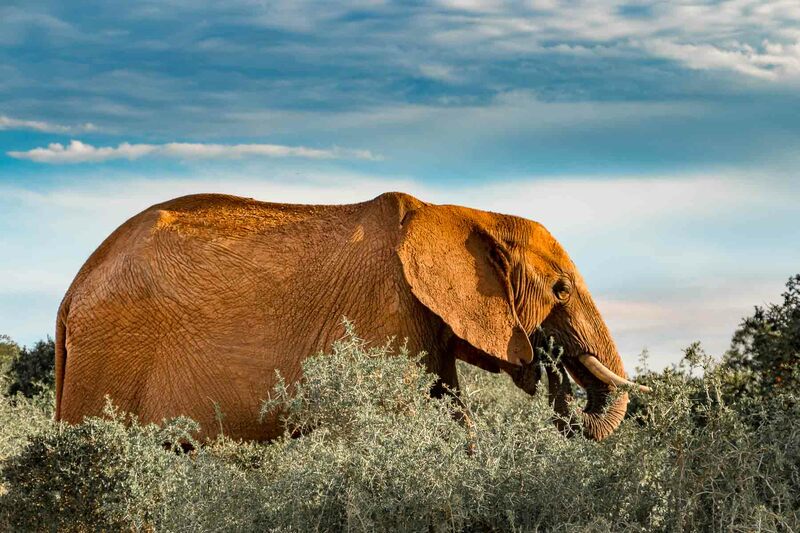 The wildlife in the Samburu is abundant, including lions, elephants and leopards, but rather than the ‘Big Five’, you’ll be looking for the ‘Special Five’ – animals unique to this area, such as an antelope that stands upright on its hind legs to eat! Lodges up here are luxurious, views can stretch for miles, and perhaps the best part is arriving in the wilderness by bush plane. It’s a lot less crowded than some of the more popular parks in Kenya, which means you often get the animal viewings all to yourself! Definitely our favourite place for safari. If you’re looking for the best destinations to visit in Africa, Watamu in Kenya should feature on your bucket list. Watamu is a small coastal town just north of Malindi, characterised by white sand beaches and clear turquoise water. 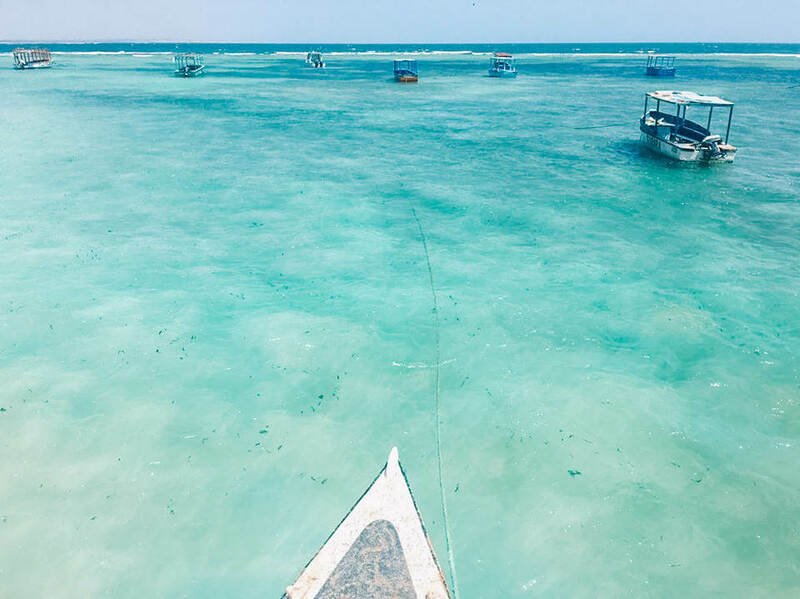 There is also a Marine National Park and there are barrier reefs just off the shore of Watamu that are home to turtles, moray eels and lots of different species of fish. When thinking of Kenya one usually thinks of safaris, but when it comes to Watamu Kenya has so much more to offer than one would expect. It’s the perfect destination in Africa where you can easily combine doing a safari with relaxing on the beach. Mana Pools National Park in Zimbabwe is remote to say the least. Accessible only by 4×4, or by chartered flight, Mana Pools lies in the shadow of the Southern Zambezi escarpment mountains in Zambia. With the Zambezi River snaking its way through the park, the vast flood plains – with the mountains as a backdrop – are a wildlife photographers dream. 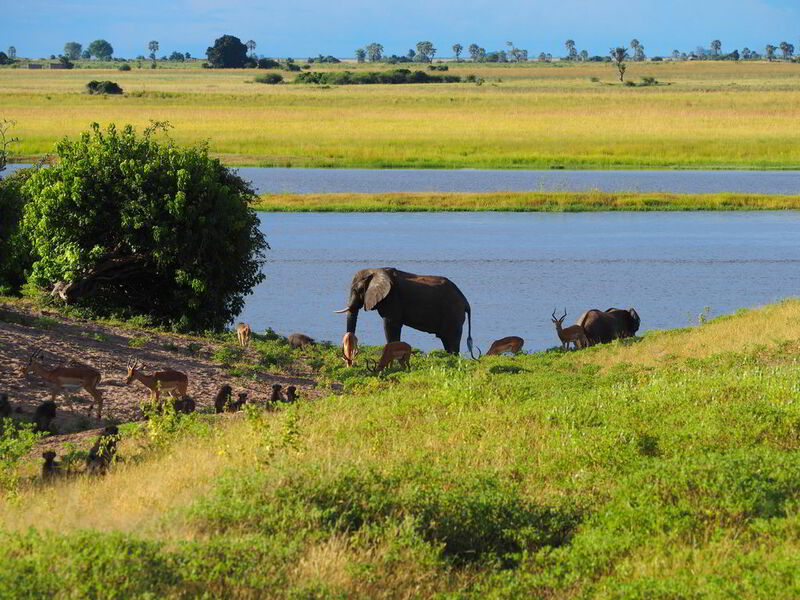 A UNESCO World Heritage Site, Mana Pools is widely recognized as one of the finest game viewing regions in Africa. If you see social media videos of elephants on their hind legs or joining safari camp breakfast time, the chances are the videos came from Mana Pools. In the dry season, the huge trees on the flood plains provide shade for huge concentrations of wildlife, including herds of impala, elephant, zebra and buffalo – a perfect feeding ground for lion, leopard and other predators that inhabit this wonderful place. One of the best places to go in Africa is Kruger National Park. It has the most amazing game viewing opportunities. And all of Africa’s iconic safari species, including the Big 5, call it home. 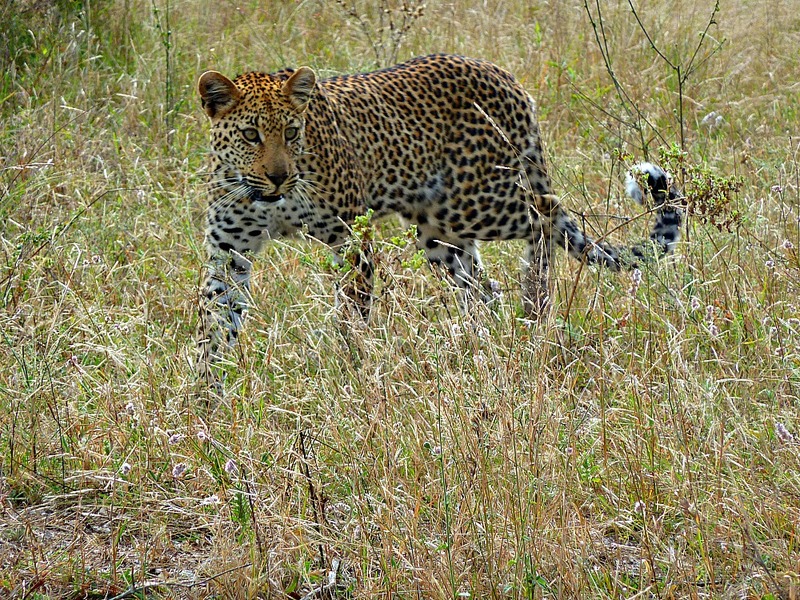 It’s also considered the best place in the world to see leopards in the wild. We managed to spot two! One of the best things about Kruger is that it’s easy to self-drive with a well-maintained network of roads. The park is huge -it’s bigger than Wales – and spotting animals on your own self-drive safari is magic. There’s a wide range of accommodation available from camping to luxury lodges. But no matter where you sleep you can hear lions roar and hyenas laugh while you’re safely tucked up in bed. Kruger National Park is one African destination you’ll never forget. Why Lower Zambezi is one of the best places to go on an African safari? Because Zambia is not yet so crowded than the more traditional safari countries but it’s becoming ever more popular destination year by year and this particular national park is one of the best Zambia has to offer. Lower Zambezi National Park has it all – huge amounts of animals, including the big 5, variable sceneries and great lodges and camps from budget to splendid luxury. 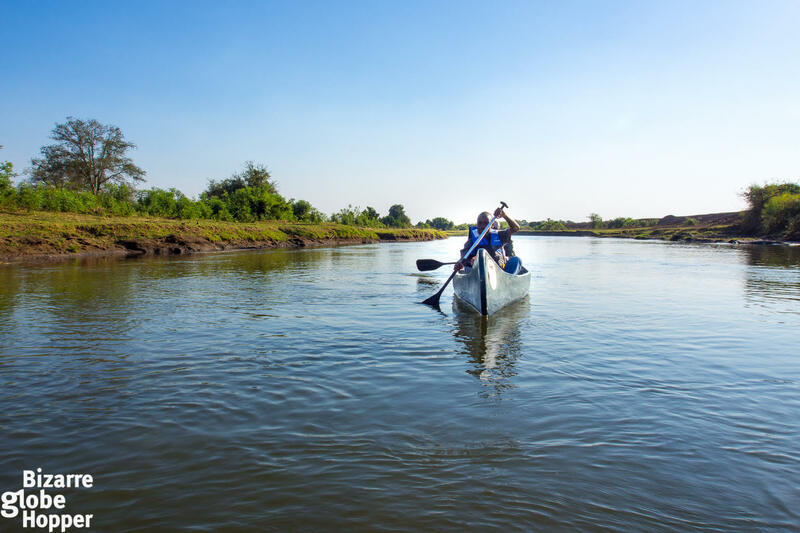 You can go on a traditional game drives with open 4x4s, on a walking safari with a ranger in the origin of this way of experiencing the wild Africa, or you can even go on a canoe safari in the Lower Zambezi like we did to the shallow, tranquil rivers and see the game from a whole different point of view. This is a place you just have to see! The Serengeti is special. Spanning 30,000 square kilometres across northern Tanzania and southwestern Kenya, it’s one of the last great wildlife refuges left on earth. Named after the Masai word for “endless plains,” it’s home to mind-boggling numbers of zebra, giraffe, gazelles, wild cats, elephant, buffalo and more. The annual migration of 2 million wildebeest, 500,000 gazelles and 250,000 zebra is a theatrical spectacle that can only be witnessed there. 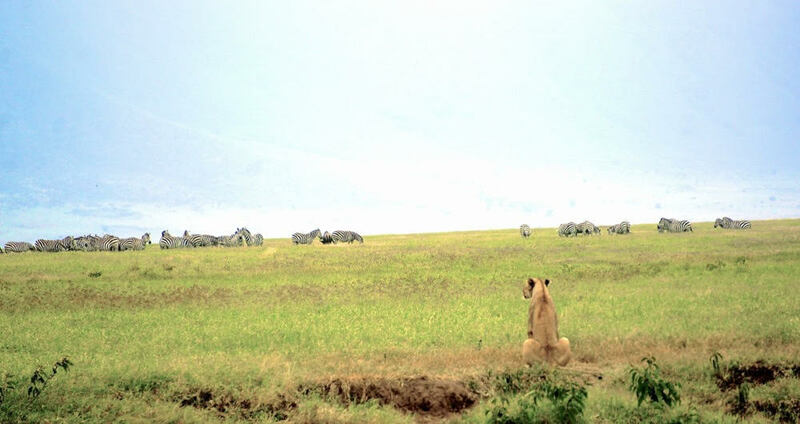 The Serengeti is the only place on earth where I’ve truly felt a part of nature unchecked. During our 3 day safari within the Park’s borders, we hardly ran into another jeep or person. Zebra and gazelles started in fear whenever we approached, wildebeest and elephants walked slowly along ancient pathways, and lions mated unashamedly in the swaying grasses of the savannah – uncaring of the humans observing nearby. If you’re lucky, the sound of blowing grasses and the rhythm of nature untouched will remain with you long after you’ve departed. The best thing about Tarangire is you will see all the wildlife alone. You do not get the jeep-jam like in other more popular Tanzanian national parks like the Serengeti. The highlight of our time in Tarangire was waking up at 2am to the vibrations and crunching sounds above our tent. We were doing budget camping, so not much support was given. I popped my head out of the tent and saw we were surrounded by 20 bull elephants. One was only 2 meters from my head. 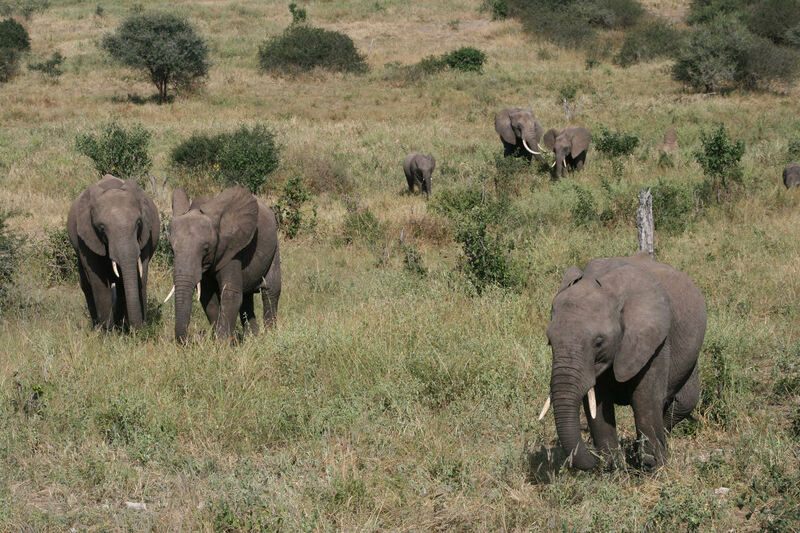 Tarangire is the ideal place to see wild elephants in Africa. We saw “bachelor” herds and matriarchal herds. 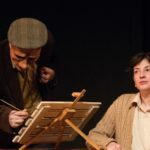 I hope you agree with this list if you’ve been lucky enough to travel on the continent – and if you haven’t yet visited I hope this post will inspire you to come!